One of the perks of my job is that I get to visit an assortment of manufacturing/industrial facilities in the Southland. Today I was at the Oakley facility. If you use Oakley eyewear, this is where the magic happens. 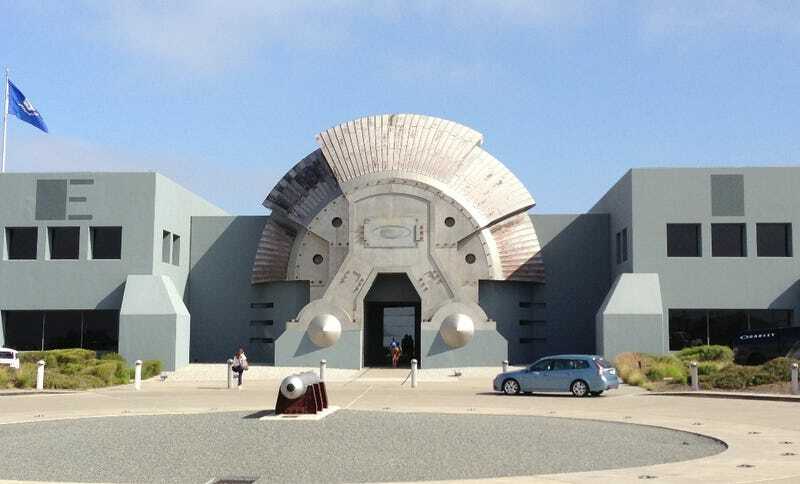 The entrance looks retro-futuristic or maybe like a villain's lair. These ejection seats are in the lobby. As you can see by the young lady on the far end, they are meant to be used and aren't just for show.